What Does a Closing Cost? What are Closing Costs? What? You did it! You finally bought your very own home. Well, almost. The closing is just a week away and all is going well. All you need to do is make sure you have everything everyone is asking for on closing day. But you’re a little confused because your attorney and the agents and your lender keep tossing terms about as casually as breathing, all the while expecting you to understand exactly what is going on and how it affects you. You’re going to sign things that say this is so after all! So what, exactly, are “closing costs” anyway? Is that the price of a closing? Well, kind of. But it’s not like you say, “Hey that looks like a nice closing, I’ll take one of those please.” Closing costs for each buyer and each transaction will always be unique based on their particular financial circumstances and the agreed-upon terms of the deal as negotiated and declared in the signed Purchase & Sale Agreement. Sound a little overwhelming? Not to worry, that’s what this blog is here for. First, it is indeed true and accurate to say that “closing costs” are particular amounts of money that you (the buyer) will be expected to pay on “closing day” -the day the place you are buying officially transfers ownership (by way of recording in the registry of deeds) to you from the seller. These mysterious “costs” often include one or more of the following: attorney’s fees, title insurance, recording fees, loan origination fees and/or discount points, prepayments of real estate taxes and insurance premiums, appraisal fee, credit report cost, and underwriting fees. All in all, closing costs typically end up ranging from about 2% to 6% of the loan amount depending on the area. Sometimes the seller will contribute to these costs as part of the deal. Always check with your lender for final closing cost numbers and details -they will give you an estimate early on (called a Good Faith Estimate and now required by law) and then the actual numbers usually a day or two before your closing. So there you have it. Closing costs are not quite as scary as one might think! The important thing to remember is to ask questions early and often. Between your attorney, your lender, and your real estate agent, you should have a team of experienced professionals who can make sure you’re prepared and knowledgeable at every turn. Don’t hesitate to ask about each and every term mentioned in this blog and anything else you come across on the way to closing. There is no question too small! The closing officer will also walk you through the Settlement Statement on closing day –this form itemizes all the costs being paid by the sellers and the buyers, so take your time reading through it and ask questions about anything that you don’t recognize or understand. Finally, the closing officer will ask for a check for your down payment and closing costs. This is it! You are now not only a homeowner, but one who understands closing cost lingo like it’s nobody’s business. 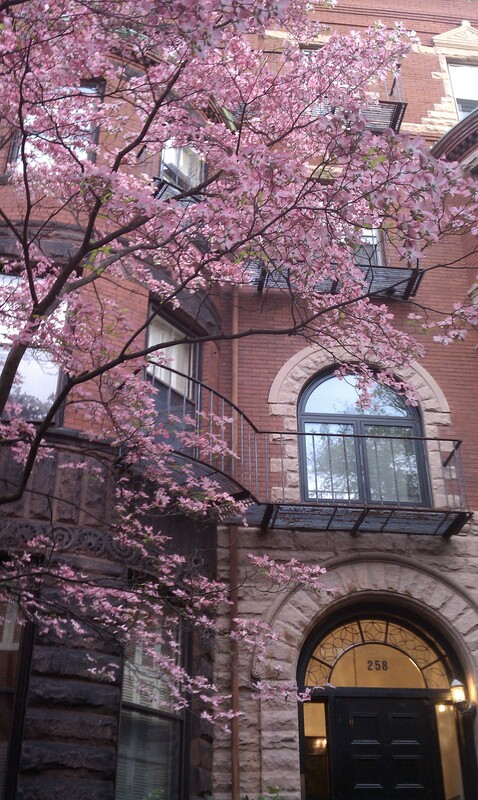 Once again, thank you for tuning into the Marston Beacon Hill real estate blog. Do not hesitate to get in touch with any questions! Congratulations, you made your first move towards buying your new home by clicking on this blog post! Now you will be well prepared when the time comes to get your search underway. Today’s real estate blog tidbit is one that most people grapple with when they’re first thinking about diving into the home buying process –Should I work with a Buyer Agent? Do I really need them? Can’t I just go to Open Houses and call the Seller’s Agent directly? Do I need to sign things and “commit”??? ….that’s scary! I thought about my friend’s frustrations and concerns and decided to write down the main points that pop to mind when I try to help people who are deciding whether or not to use a Buyer’s Agent so that anyone reading this blog can have a launching pad for their own search. Keep in mind, there is no one right answer and no perfect formula for everyone. I believe it is best to do your research, talk to lots of friends and family who have gone through the process, and most of all, use your gut when deciding on whether to work with an agent to help you make one of the biggest purchases of your life. As my friend found out the hard way, she would have gladly given up the discount she received to have had an agent who clearly made her and her purchase a priority and provided not just transactional expertise, but a certain healthy level of emotional support to lend strength and confidence to one of life’s biggest endeavors. The main reason you want to work with a Buyer Agent is that you want someone who is on your side and your side only. If you go directly to the seller’s agent of a particular property, that agent has been hired specifically to get the most money for their seller, not to look out for your interests or your wallet. My friend mentioned that the agent did not seem to really seem to have time for her or to be proactive about her purchase process and negotiations –she felt like she was just another number. Along with expertise, she wanted to feel taken care of and looked out for –all legitimate needs when you’re making what is probably the largest purchase of your life! At the end of the day, in my opinion, it doesn’t matter who your agent is affiliated with as long as a friend or someone you trust has recommended them and feels that their work ethic and style will match your needs as a buyer –from my experience, buyers (and sellers for that matter) are happiest when their decision about who to work with is based on first-hand accounts from several trusted sources including their own gut reaction, rather than relying solely on what you read on a broker website or in a home buying book. You Don’t Pay the Buyer Agent’s Commission, The Seller Does! I know it sounds funny, but here’s typically how it works (every scenario can be different). The seller signs up with a listing agent and pays them a fixed percentage of the sale price –then when a Buyer Agent brings a buyer, half of that commission goes to the Buyer Agent for bringing the Buyer. So most of the time, even if you went directly to the seller’s agent, they would still get the same percentage commission so it doesn’t make sense not to have half of that go to someone who is representing you instead of the seller. Once in a while you may find a seller’s agent (and seller) who will agree to somehow lower the commission and/or sale price in a way that makes it financially better for a buyer not to bring another agent into the picture. However, it is important to remember, once again, that the seller’s agent will only be looking out for the seller’s best interests –price, home inspection, etc. Especially if you are not a real estate and/or neighborhood expert yourself, it doesn’t make sense not to take advantage of a service that doesn’t cost you anything AND potentially (most likely) saves you money since the Buyer Agent knows how to negotiate and knows the properties in his or her target neighborhoods well so can advise on value and offer strategy. The Buyer Agent has a very real vested interest in making you happy and taking care of you –they don’t get paid if they don’t! And then they also rely on your referrals and praise to keep growing their business. Apart from these incentives, there are plenty of great Buyer Agents who simply do a great job for you because they sincerely love to help and are thrilled when a buyer finds their dream home –I can tell you from my experience, it really is a rewarding achievement to be a part of! You don’t need to reinvent the wheel in terms of investigating neighborhoods, finding the best properties that most closely match your needs/wants, or understanding and evaluating fair market value –this is what the Buyer Agent does every day! If you find an agent you feel comfortable with and feel like you can trust, he or she is worth their weight in gold –they will provide you peace of mind, save you a ton of time in legwork and research, and educate you on properties you may not have known about because they’re hidden in an adjoining neighborhood or listed as a 1+ bedroom instead of 2. They will take your list of wants and needs and then help you think outside the box to find value! Do I need to sign something? I don’t like commitment! Don’t worry. Again, every agent is different. Again, use your gut. If and when you reach a point of mutual trust with an agent, you may consider signing something with them to assure them they will get paid for all their hard work regardless of how the final property is found. Some agents only work with buyers who sign an agreement. Others are happy to work with you and form a relationship and you can both decide if/when the time is right to put it in writing. In any case, you will sign something, of course, when you decide to make an offer saying that this agent is representing you as a Buyer Agent (and that’s a good thing ….you don’t want them “representing” you when they really work for the seller! Your life is busy and complicated enough –make sure to do yourself a favor and don’t try to become a real estate agent at the same time you decide to buy a house! There are knowledgeable people out there to help you. 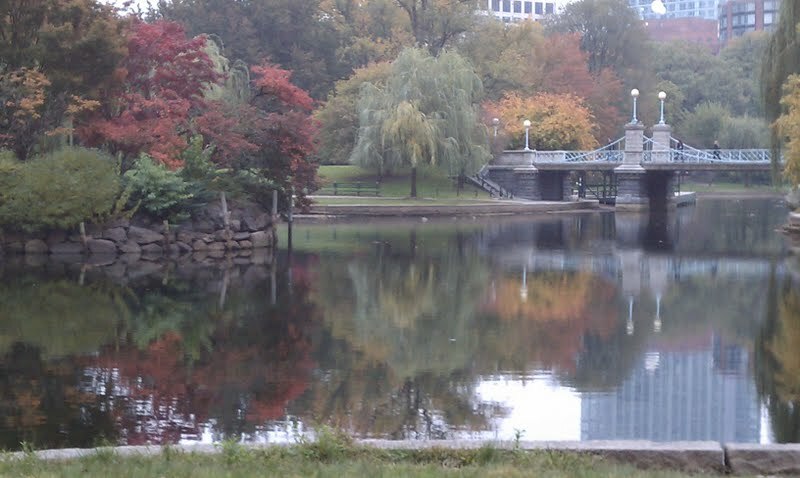 PS: Today’s bonus blog ingredient of the day is a lovely morning photo I took of the Boston Public Garden on a recent misty October morning –isn’t it refreshing? I am lucky enough to walk by this view every day on my way to work. And as my friends and coworkers will tell you, I just got a new phone and I love the camera it has –I was a tad late for work today because I’m taking pictures all the way there! But maybe that’s ok since the pictures are for a work blog?? ?